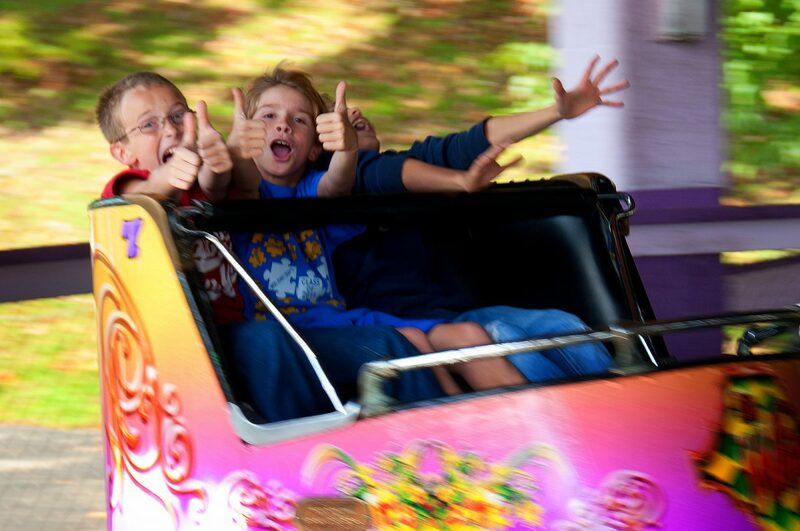 Children enjoy discounted rides at Camden Park during summer Funington events. Coming off its successful first year, Greater Huntington launches its second season of weekday family festivities during “Funington” in June and July. The region-wide program provides discounts and specific scheduling to help area families arrange family-fun events, according to Anna Adkins, spokesman for the Cabell-Huntington Convention and Visitors Bureau. Adkins said the program was so successful in its first year that sponsors in Huntington and Cabell County were excited to expand the events. “We’ve definitely seen more interest, especially among sponsors who were very happy with the outcome,” Adkins said. Bureau president Tyson Compton said in a press release that the Funington program provides balance in a community that’s also renowned for its weekend events. “Weekends are often full of activities but these venues want to help kids fill their weekdays as well,” Compton said. Join the park recreation team between 1 and 3 p.m. for Junior Naturalist expeditions in regional parks: June 5 at Ritter Park (Scavenger Hunt), June 12 at Harveytown Park (Food Chain Activity) June 19 at Westmoreland Park (Science Experiments), June 26 at St. Cloud Commons Lodge (Bingo) July 3 holiday break, July 10 at April Dawn Park (Camping 101), July 17 at Altizer Park (Splash Zone) July 24 at Rotary Park (Disc Golf), July 31 at Ritter Park (Surprise Grand Finale). Jump into fun this summer at Camden Park’s Children’s Festival! Rides, games, and summer fun including our petting zoo, live music on the Midway Stage, face painting or balloon artistry plus a special rate just for kids less than 48 inches tall! The discounts are offered at 4 p.m.; normal park prices otherwise apply. Check the park website for pricing. Soak up the sun with farm fun at Heritage Farm from 10 a.m. until 3 p.m. Wednesdays in June and July for a petting zoo, Children’s Activity Museum, Six-Simple-Machines Discovery Zone playground, MakerSpace, Artisan Center and award-winning museums. Open to all ages for the special day price of $5 per person. Meet at 10 a.m. the Huntington Museum of Art at the Butterfly Garden for a guided tour on our scenic nature trails. In the event of rain, participants are welcome to venture inside the museum for an indoor nature activity. The cost is free, and no pre-registration is necessary. Remember to wear outdoor and hiking appropriate clothing and shoes. Fridays: explore on your own! On Fridays, explore the region on your own. Bowl at Colonial Lanes, enjoy youth programs at the Cabell County Public Library, romp through inflatables at Pump-Up-the-Fun, built an heirloom treasure at Pottery Place, trek outside at Beech Fork State Park, swim at Dreamland, skate at Skateland in Altizer, or splash in the splashparks at Barboursville Park or Milton’s April Dawn Park. For more information on the Funington program, visit the Cabell-Huntington Convention and Visitors Bureau website or call its office at 304-525-7333.